If you are one of those people who gets bored of the “same old, same old” pretty easily, then you are probably always on the lookout for easy ways to spruce up your bedroom. 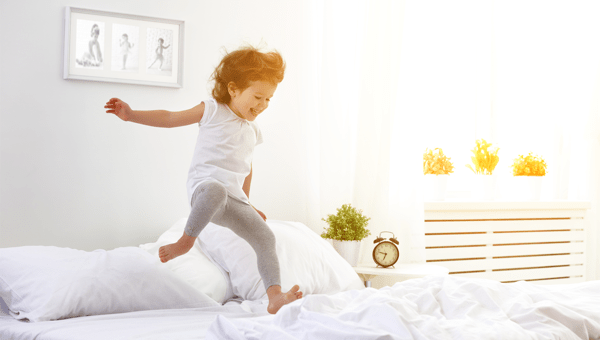 The good news is that you can easily freshen up your sleeping area; add some flavour with any one of our top ten free ways to instantly improve your bedroom. Cleaning your bedroom might be all it takes to refresh the room and give it a brand new shine. If you have clutter on your desktop, fuzzies and hair on the floor, and clothes lying around, a room that otherwise may be inviting will start to look drab instead. Along the same lines, a dusty room will feel old, like the guest room at your grandmother’s house that never gets used. Take some time to get the dust off everything and not only will you breathe better, but you will get that shiny, new feeling back. Most people are hoarders to some extent, but you probably have old items sitting around that you haven’t touched or looked at for ages, or that you just shuffle out of the way, on top of your dresser or desk. Instead of shuffling them around, simply remove them to lighten the feel of a room. Now that you have some open space, you can grab décor items from other rooms that may help brighten your bedroom. Switching things around in the house is a sure-fire way to breathe some new life into old pieces. While you are looking at that dresser, make sure you take a moment to organise the top of it – and the drawers. You will thank yourself in the morning, when you no longer have to spend precious minutes searching for a clean sock. Switch your bedding out for the spare bedroom bedding, or your extra set in the linen closet. Just changing the bedding can be enough to change the vibe of a room. Set a reasonable time limit – such as one year – and then go through your closet pulling out everything you haven’t touched or considered wearing for a year. Donate it or put it in storage. Your much more accessible and organised closet will instantly appeal to you, instead of intimidating you!